I usually believe that I’ve a pretty good idea of roots reggae albums being put out around the world, especially if they come from a Jamaican artist and has been something of a success. 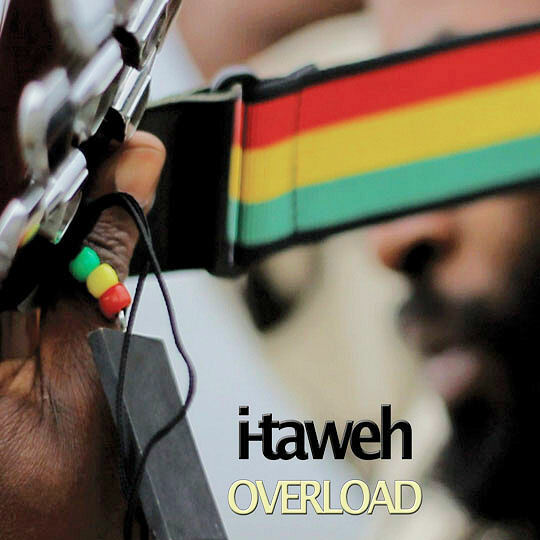 But this is of course not always the case, as is clearly shown by I-Taweh’s debut album Overload, an album that has climbed the Jamaican album chart. Even though Overload is I-Taweh’s debut album he is far from a novice. He has spent 17 years on the road with several different bands and musicians, including Mystic Revelation of Rastafari, Everton Blender and the late Sugar Minott. He has also recorded with artists such as Capleton, Sade and Luciano playing bass and guitar. And now it’s time for I-Taweh to leave the shadows and be a star in his own right. Because he is a sublime song writer and warm vocalist. His raspy tone is reminiscent of Burning Spear, Joe Higgs and Clinton Fearon. Overload collects twelve tunes plus a nyabinghi version of the title track. Musicians include drummers Leroy “Horsemouth” Wallace and Sly Dunbar, saxophonist Dean Fraser and percussionist Bongo Herman and a number of others. There are hardly any disappointing moments, and the several highlights include the moving Braveheart, the harmonious Jah Bless and the soulful Runaway with some memorable guitar playing. Overload is a strong debut album and according to a recent interview with I-Taweh he is already working on his next album. I’ll be waiting patiently. Wonderfully written. I was lucky enough to meet him and he blessed me with his music and every day since had been brightened by his music. I’ve shared it with everyone I know and it’s always the same, they love it. New album coming out soon. I and I cannot wait.